Recibe a través de la presente el agradecimiento personal y de todo el equipo de Noticias Univision Los Ángeles, por las atenciones y apoyo que nos brindaste durante la realización de nuestras grabaciones en diversos puntos de la geografía guatemalteca. Regresamos muy satisfechos de los logros de este recorrido que nos permitió, sin duda, conocer una parte de uno de los países más bellos de nuestra América Latina. Here in the northern reaches of our continent, east is east and west is west, and conjunctions like Black-throated Green Warbler and, say, Hermit Warbler are rare and wondrous. But as the slender waist of Central America narrows, the oceans draw nearer to each other, and the full feathered glory of the vastnesses of Canada and the US mingle with the tropical creatures of birders’ dreams. There really is no east, no west, for “our” birds in the winter, and the unexpected constellations we encountered again and again reminded us just how different our mental atlantes are from the living landscapes they claim to retrace. I’ll be writing about Guatemala these next few days, with a few pictures, too. Behind the words, behind the images, I’ll be hearing what I hope you can imagine: the incisive tseeps of elegant gray-clad Tennessees and the metallic chips of their colorful western cousins, familiar birds in unfamiliar conjunction, providing the background and the soundtrack to tropical adventure. Guatemala seems to be taking advantage of its chance to do it right. Inevitably, there are pressures for ‘development’, but admirably, enviably, there are also careful and concerted efforts for conservation, so that the resources the country is so richly blessed with are preserved for the enjoyment, the nourishment even, of residents and visitors both. I’m an unabashed Guatemala fan. After three visits, the birding, splendid as it is, is almost incidental; when I think of Guatemala, the images that flood the mind are of people, architecture, landscapes, food–I’m quite simply fond of it all, and the birds are a wonderful bonus. Guatemala is one of those rare birding destinations that cater to all tastes. There’s hiking in the uplands, puddlewatching on the fields, and temptingly comfortable accommodations from which one can look up from a book or a cup of coffee to enjoy, oh,White-collared Seedeaters and Blue-tailed Hummingbirds just off the porch. Unbeatable! My trip to Guatemala was a life changing experience. My first day at Finca El Pilar was rough, I was just getting over the flu and feeling sorry for myself. As our tour group climbed higher, I stayed with the bus to rest. I suddenly heard the most beautiful bird song a person can hear, the Brown-backed Solitaire, and it didn’t matter how sick I was, I knew the rest of the trip would be fabulous. That bird song still haunts me to this day.. The rest of the trip offered stunning views of volcanoes, especially at Los Andes Quetzal reserve. I remember standing at the base of the trail just as the sun was rising, a volcano released smoke, silhouetted against the orange sky. All around us we could hear motmots waking up. The birds are incredible and seem to dreamed up by amazing artists: Pink-head Warbler, Magnificent Hummingbird, Ferruginous Pygmy Owl are just the tip of the ice berg. I visited Guatemala, WOW, what a FABULOUS country! 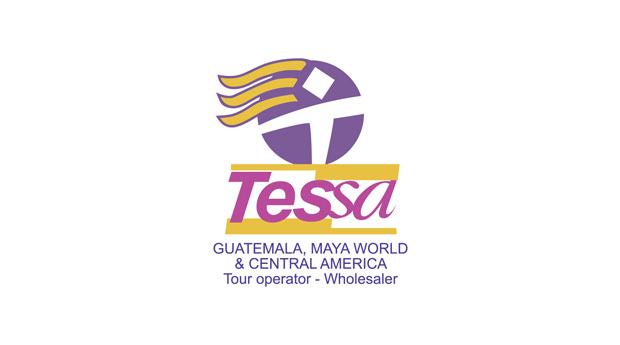 Tessa Tours is a bilingual local operator who uses a local bird guide to offer custom and fixed-departure birding tours, and the owner, Estela Rosales, was one of the principal operators of the Birdwatching Encounter, and demonstrated a tireless professionalism and willingness to get everything right that would rival and operator I’ve ever worked with.